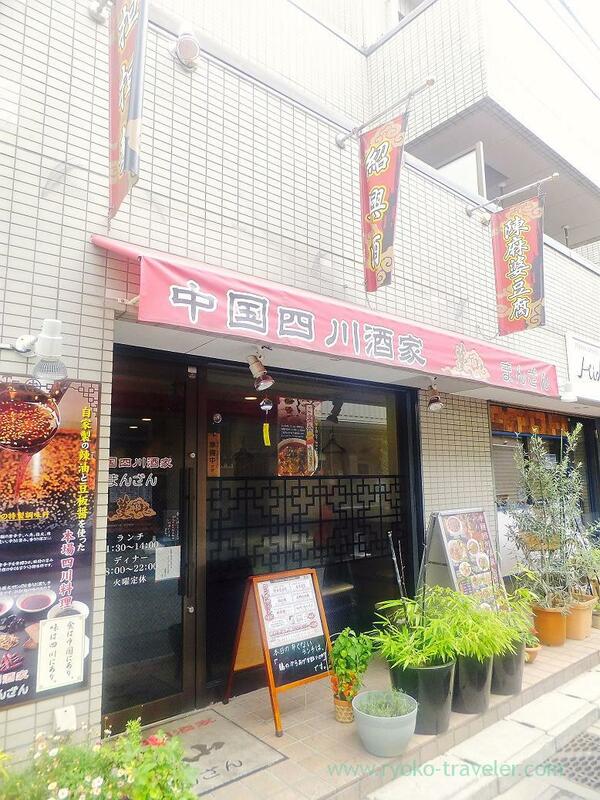 I came to Manzan for severe spicy mapo tofu. This was the first time here after the consumption tax increase and I found the prices of their lunch sets increased from 950 to 1000 yen. 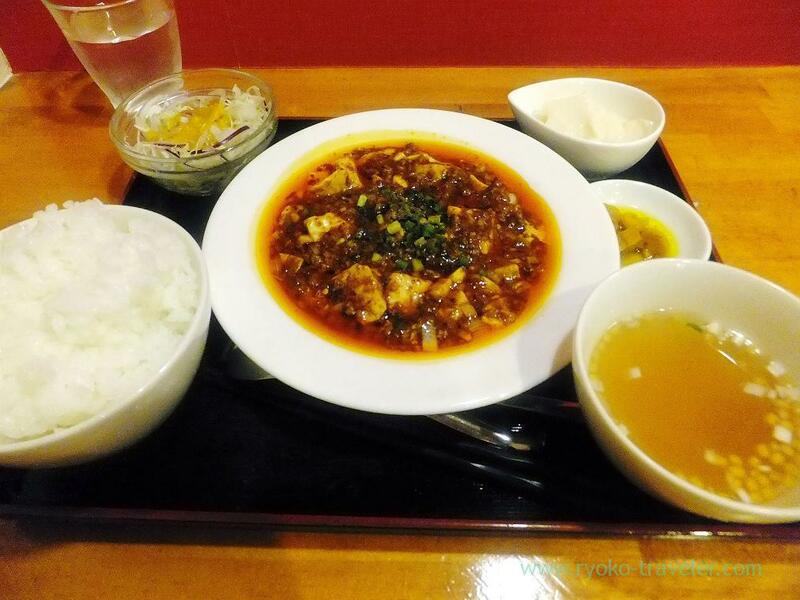 That day’s mapo tofu was watery and it wasn’t my delight as usual. But still it was good. 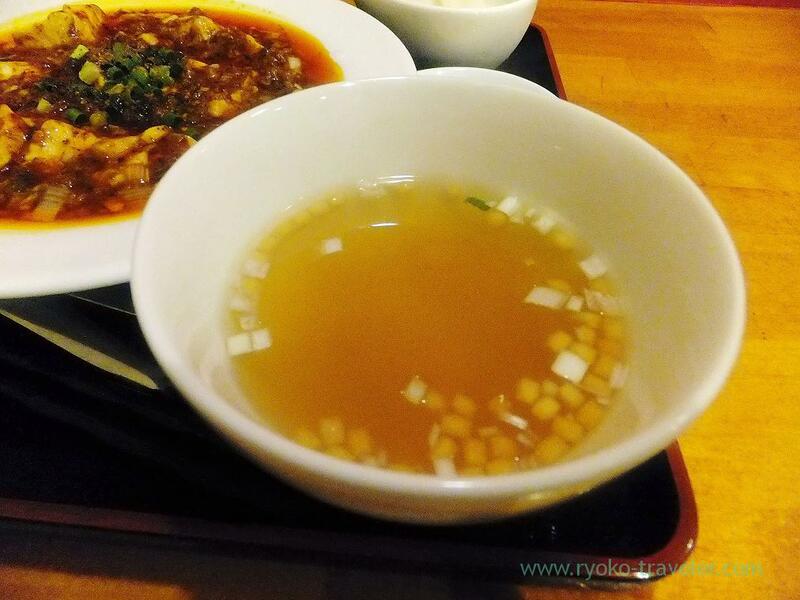 Mapo tofu have plenty of tofu, so cook have to take amount of water into consideration. 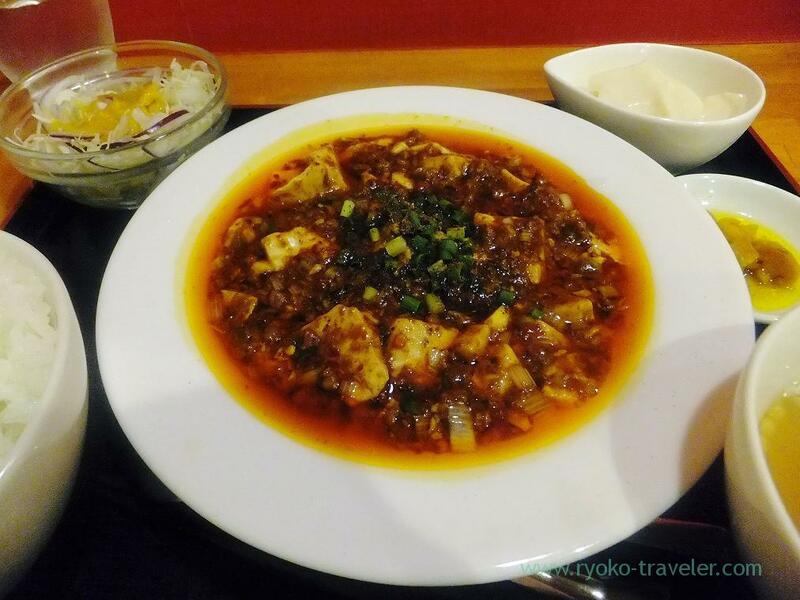 So, it is difficult to make best mapo tofu, I think. And I like the set having almond jelly. I can’t eat a lot of sweet foods, so I can’t order one whole almond jelly by myself. So, I love this “small” almond jelly. This soup was simple but tasty, too. I love spicy foods, but I decided not to eat severe spicy foods for a while. Yes, I’ll keep eating medium spicy foods ! Ah, I agree. I don’t like the taste of soybean. I can’t eat it without any additives.